If you don’t have New Year’s Plans yet and would rather go out than binge a TV show with take-out, we’ve got you covered. Here are 40 options, including indulgent dinners, dance parties, and themed galas. Alcove & Big Bar have a unique annual tradition. Beginning in the afternoon, their team of expert mixologists will offer a new “timezone cocktail” every hour until the clock strikes midnight here in L.A. They’ll also be changing the music every single hour. In all, that’s ten time zones, ten cocktails, and ten playlists. Things kick off at 3 p.m. in Paris with the Poussin de Côtê with Hennessy black cognac, star anise/cinnamon-infused Cointreau, and lemon. At 10 p.m., expect the Piña de mi Corazon, with pineapple-infused tequila, lime pineapple, green chartreuse, and maraschino liqueur. Each one comes stamped with a special timezone sticker. Clifton’s New Year’s Eve Ball at the Crystal Forest takes the already magical Clifton’s and transforms it into five immersive floors of wintry, woodsy wonderland (some floors and areas accessible to VIP and platinum ticket holders only). There will be cocktail and champagne specials throughout the venue, with certain tickets granting access to a buffet dinner and complimentary champagne. Winter fantasy garb is encouraged. At the elegant Viceroy L’Ermitage hotel in Beverly Hills, a special three-course dinner with champagne will be served from 5 p.m. to 11 p.m. Choices include hamachi tartare or lobster consume, venison osso buco or seabags with black truffle risotto, and champagne granita with berries or white chocolate vanilla créme brulee for dessert. Prohibition NYE, a Jazz Age-themed fête, returns for its seventh year at Union Station. Entertainment includes burlesque from Dollhouse Entertainment, a disco set from Classizz, music from Lyndsay and the All Nighters, a midnight ball drop, and more. Tickets also include access to an open bar. Downtown Pasadena venue NOOR will host an 80s dance party with DJ Richard Blade, an open bar, complimentary hors-d’oeuvres, dessert, party favors, and more. On New Year’s Eve, Universal Studios Hollywood will extend park hours until 2 a.m. to ring in the new year. Festivities include DJs, live music, and a fireworks show, which guests can experience by simply purchasing a standard park ticket. Upgraded VIP tickets are available and include private lounges and bars, a buffet dinner, a champagne toast at midnight, and express access to rides and attractions. At this NYE event, you get dinner and the chance to solve a mystery. Tickets include appetizers, a three-course dinner, party favors, DJs and dancing, and, of course, an interactive who-done-it to piece together throughout the night. Hal’s Bar + Grill Playa Vista will offer a prix fixe dinner with a champagne toast and music from pop/rock band Weekend Celebrity. Dishes include a Sorell salad; halibut with acorn squash, prime rib with purple mash, or cacio e pepe with truffle, and pavlova for dessert. Guests may choose between two seatings: 4:30-6:30 p.m., or 7-9 p.m. The Queen Mary will transform its decks and ballrooms into visually spectacular themed clubs for New Year’s Eve, including the black-lit Cat’s Meow, the honky-tonk Hotsy Totsy, and speakeasy Capone’s Hideaway. Entertainment throughout includes burlesque, dueling pianos, DJs, and a fireworks show. If you’re looking to hang out somewhere chill without a pricy cover, Angel City Brewery’s the spot. They open at 4 p.m. on New Year’s Eve, with live music from The Vignes Rooftop Revival starting at 9 p.m. A midnight toast of Bir Royale Champagne Beer will be provided, and Downtown Taco Co. will be on site if you get hungry. Grand Park + The Music Center’s N.Y.E.L.A. 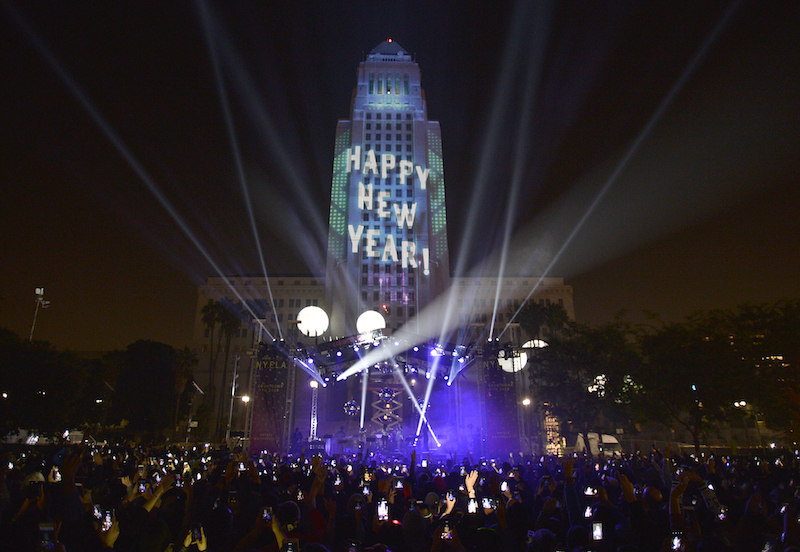 One of L.A.’s largest NYE celebrations is held annually at Grand Park, drawing some 50,000 people. This year’s theme, LA DREAMS, will incorporate the artwork of L.A. County fifth graders during the countdown to midnight. Other entertainment includes musical performances from Aloe Blacc, Maya Jupiter, and DJs Spiñorita, Ericalandia, and Kronika. Festivities kick off at 8 p.m. Find a complete lineup and schedule for the family-friendly fest’s two stages here. If you’re looking for a party where one ticket gets you everything you’d want in a single night out, The Raymond 1886’s all-inclusive NYE Ball will do. Guests will enjoy passed appetizers, buffet stations, desserts, an open bar, a champagne toast, party favors, and performances from Marquis & The Rhythm Howlers and DJ Spinboy. Culina at the Four Seasons Hotel Los Angeles at Beverly Hills is offering both a three- and four-course prix-fixe Italian dinner, as well as the Windows Lounge New Year’s Eve Party with live entertainment, party favors, and a champagne toast. Cost: $95/person for three-course dinner; $150/person for four-course dinner plus gala access; $60/person for gala only. ROKU in West Hollywood will offer a six-course omakase dinner with seatings at 6 p.m., 8 p.m., and 10 p.m. with dishes like snow trout sashimi with yuzu pink peppercorn. Those who wish to stick around can enjoy DJs and a champagne toast at midnight. Similar festivities will be available at the sushi restaurant’s Santa Monica and Pasadena locations as well. Skyspace’s party will have one of the best views on NYE, taking place 1,000 feet above street level. Your ticket includes dancing, DJs, an open bar, a champagne toast, and passed appetizers and unlimited Skyslide rides until 10:30 p.m. The Grand Ballroom at this luxury resort will host a New Year’s party with entertainment including DJs, dining, vaudeville and circus acts, and late-night savory and sweet food stations. From 10 p.m. until 1 a.m., Baldoria will offer a buffet of their signature and off-menu pizzas, nachos, ice cream, and more. A champagne toast will occur at midnight, and happy hour prices on drinks will go from 10 p.m. until close. Santa Monica’s Hotel Shangri-La is offering a 9 p.m. cocktail hour and five-course dinner, complete with a bottle of champagne and live entertainment. Or, you can check out the Onyx Rooftop Lounge for with DJs, a champagne toast, and a four-hour open bar. Cost: $150/person for the dinner, $90 and up for the party. Le Peer Hotel’s celebration begins with a four-course meal, followed by a masquerade ball with bottomless prosecco, DJs, and dancing. The festivities will overtake the entire first floor of the West Hollywood hotel. Cost: $100 and up for dinner; $50 for the party; $150 and up for both. Scratch Bar and Sushi Bar both have multi-course tasting menus, each with three seatings over the course of the evening. Scratch Bar will feature a 12-course menu with items including a5 wagyu ribeye, foie gras, caviar, and more. Sushi Bar will feature a new 17-course menu. Afterward, diners are welcome to head on over to sister bar Woodley Proper to ring in the new year with a complimentary glass of champagne. There are two ways to celebrate at Burbank’s Castaway. Guests can enjoy a five-course meal and a bottle of Veuve Cliquot for two, accompanied by a live jazz quartet in the restaurant. Or, in the Verdugo and Starlight ballrooms, the Welcome to the Jungle party will include food stations and passed appetizers, live entertainment, dancing, and an open bar. New Westwood restaurant Broxton’s masquerade ball includes passed appetizers, an open bar, photo booth, and a champagne or beer toast at midnight. Guests are encouraged to dress up for this one, which goes from 8 p.m.to midnight. At this neighborhood beer bar, guests can enjoy unlimited craft beer and pub food. Throughout the night, they’ll also raffle off beers straight from Tony’s private cellar. The Candi Pop dance party at The Satellite may be celebrating 2019, but the music will be all 90s and early-aughts. Think Spice Girls, boy bands, Hanson, and S Club 7, all night long. Doors open at 9 p.m.
Dita Von Teese and a cast of burlesque pros will perform at the glamorous Orpheum Theatre. Guests will also get to view some Von Teese’s own costumes in the lobby, and some fans may score meet-and-greet tickets, too. “The Orpheum Theatre has a rich showbiz past, a stage made for vaudeville and burlesque shows, so it’s especially exciting to invite the audience into this historic space…it’ll be a night you’ll tell your grandkids about!” Von Teese said via a release. Minimal Effort returns for another night of techno and house music, this time featuring Skream, Sasha, Layton Giordani, Justin Jay, Yokoo, and more, spread across four stages. German trance DJ Markus Schulz, also known as the Unicorn Slayer, will be playing all night at the Avalon, starting at 9 p.m. Schulz has performed all over the world and hosts the Digitally Imported radio show Global DJ Broadcast. Not into top 40? Riot! at the Disco is a night of emo and pop-punk kicking off at 9 p.m. DJs Dan Sena and Bar Mom will play lots of Jimmy Eat World, All Time Low, AFI, Taking Back Sunday, Coheed and Cambria and, as the name might imply, Panic! at the Disco. It’ll cost you to herald in 2019 at The Varnish’s disco-themed celebration, with tickets starting at $350 for a table of two. However, you will get a French dip sandwich; snacks; cocktails, beer, wine, and select spirits for sipping, and midnight champagne service. Walk-ins who don’t mind standing will be admitted on a first come, first served basis with drinks served a la carte. Entertainment comes via DJ Max Maxey, who will be spinning disco on vinyl throughout the evening. DJ Jose Maldonado will spin indie 80s, 90s, Britpop, post-punk, new wave, dark wave, and more for Part Time Punk’s NYE party at The Moroccan Lounge. Artists you can expect to hear include NIN, Pulp, The Smiths, Nirvana, Radiohead, The Cure, New Order, and more, so get your black eyeliner ready. Gatsby’s House returns for the sixth year at the W Hollywood hotel. A ticket will get you two rooms of music, three lounges, party favors, and a premium open bar for four hours. Expect Top 40 tunes from DJs including Splyce, Dr. Coolwhip, and Eric Cubeechee. Casino games available on a first come, first served basis. Don’t feel like paying a hefty cover? Downtown’s Bar Clacson will host an “Enchantment Under the Sea” party with live music, specialty cocktails, champagne, and oysters. Head upstairs to Slipper Clutch for their “Go F* Yourself Under the Sea” party where DJ Heather Leigh will be playing punk all night. There’s no cover at either bar, though you can get bottle service—Miller High Life, that is—for $20 at Slipper Clutch. There’s no shortage of pop dance nights on NYE, but 5 Star Bar is one venue offering a full night of metal. Acts include OLD Blood, Sick Mystic, Beyond the Roots, The Faint Endless, and SPEED OF LIGHT. The party starts at 8 p.m.
Perhaps not a battle for the ages, but a solid night of dance music from DJ JoelAtTheDisco. Expect music from artists like Chromeo, Justice, Ladytron, Crystal Castles, Peaches, Cut Copy, and, naturally, the two contenders. Tickets include party favors and a champagne toast at midnight. If VR and gaming are more your speed, check out Two Bit Circus’ NYE packages. 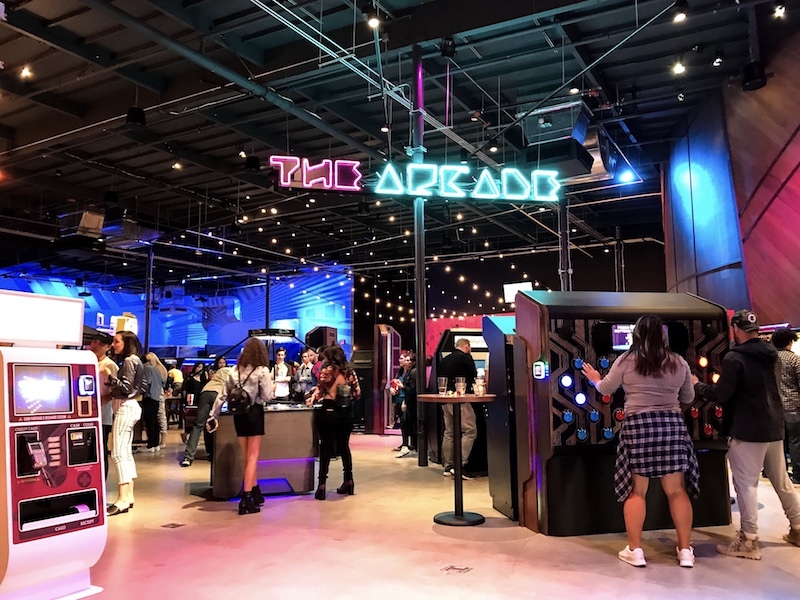 For $75, guests can get unlimited games in the venue’s midway and arcade areas, tickets for two main attractions, two drink tickets, a champagne toast at midnight, and late-night food. For $100, guests will get VIP seating and access to a private bar. Main attractions include their virtual reality offerings, as well as their Story Rooms, which include two escape room-style adventures and four-person VR shooting game The Raft. The event starts at 8 p.m., 21+ only. Cocktail favorites The Normandie Club and The Walker Inn, both located within the Normandie Hotel in K-Town, are offering food, an open bar, and a champagne toast at midnight for ticket holders. Honeycut is only selling 100 tickets to their annual Champagne Supernova party. It’ll score you an open bar, including free-flowing white and pink champagne, plus 2000s pop and hip-hop (plus a little disco) from DJs The Mojito Boys. The Victorian in Santa Monica—a venue originally built in 1892 but moved to its present location in the early ’70s—will transform into a “winter wonderland” for NYE. 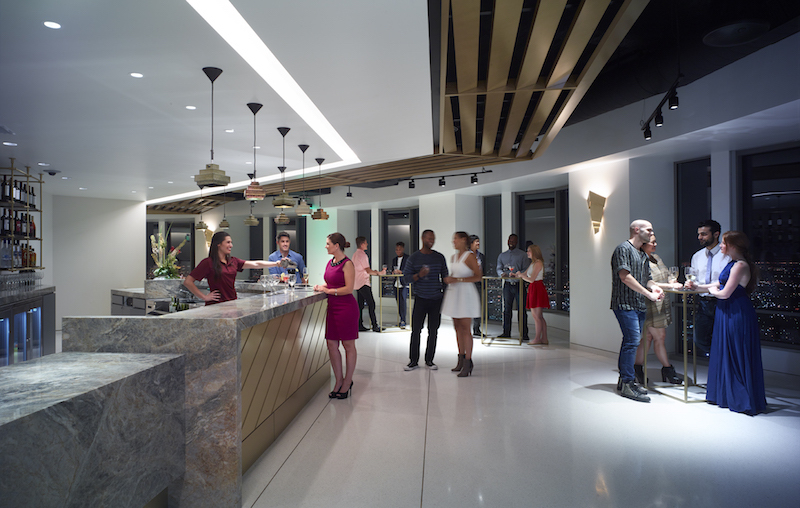 Ticket holders may explore all three floors of the venue, plus receive a champagne toast and open bar access. Enjoy rooftop dining before the ball drops at WP24. 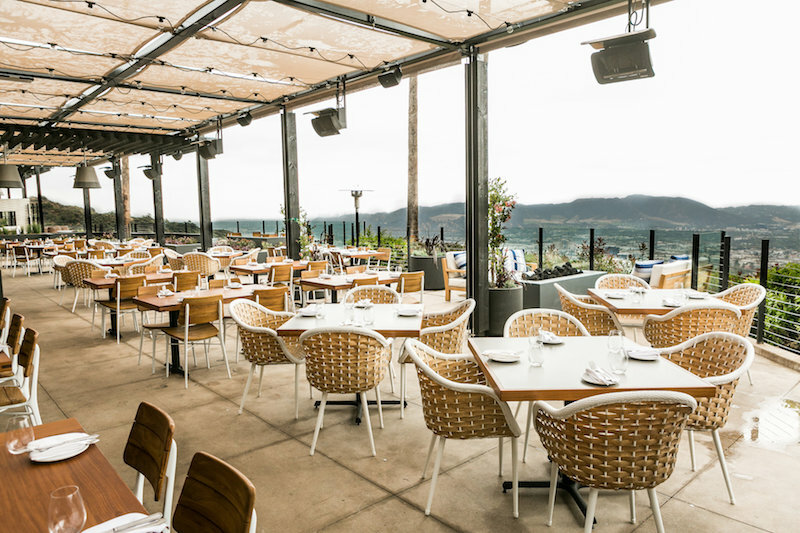 They’re offering two dining options: a three-course menu with dim sum and a la carte options, or a seven-course pre-fixe menu with items including day boat scallops and prime rib New York sirloin. Gallery Lethal Amounts is hosting their annual New Year’s Extravaganza at the Echoplex. Expect performances from My Life with the Thrill Kill Kult, Egyptian Lover, and Sateen, plus DJs Matthew Pernicano and Danny Fuentes.